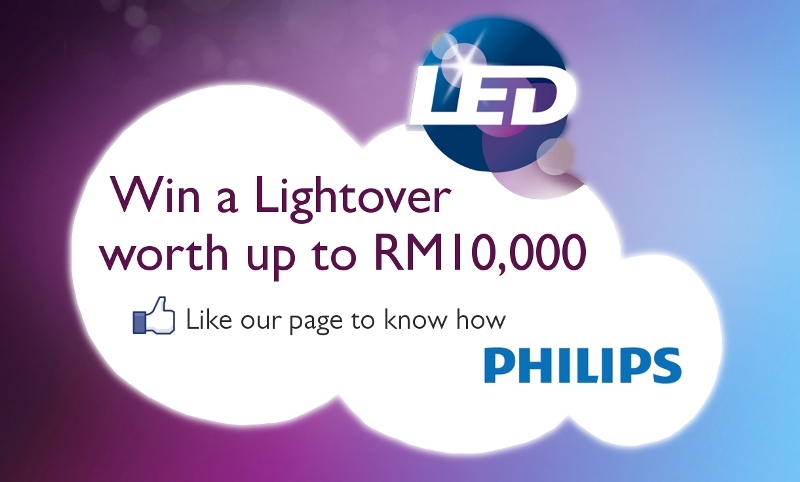 Philips Lighting Malaysia Facebook Page – LIKE IT! 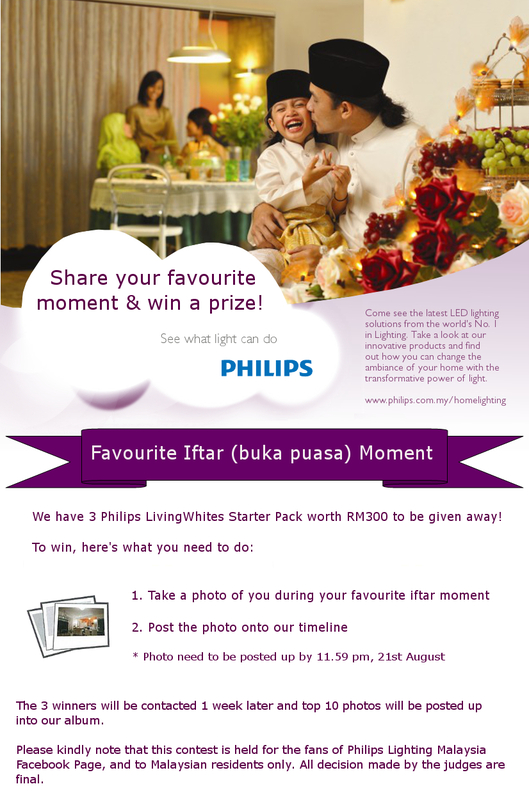 Get lighting tips, Philips lighting product details, promotion updates, lighting news, events, contest & more from Philips Lighting Malaysia. 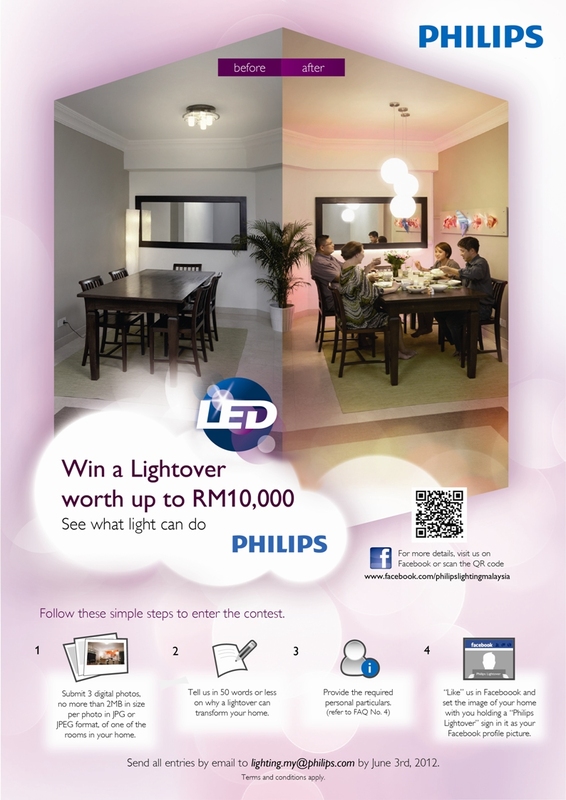 Stand a chance to win a LIGHTOVER worth up to RM10,000!! 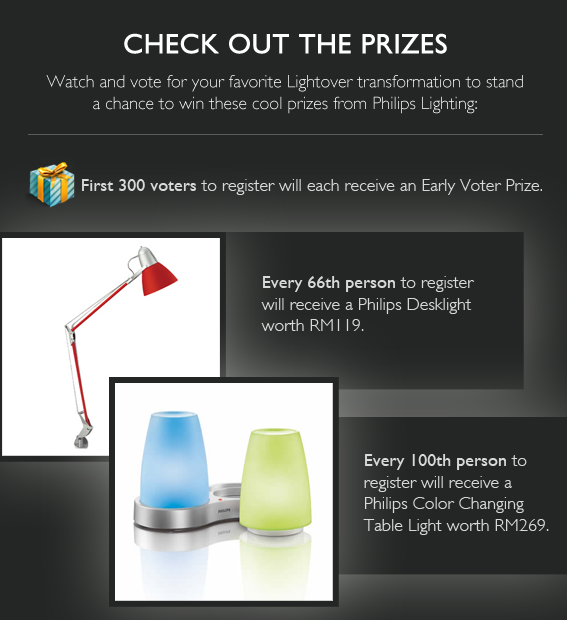 If you haven’t heard, PHILIPS LIGHTING MALAYSIA is organizing a LIGHTOVER CONTEST where 6 lucky winners will stand a chance to win a lightover worth up to RM10,000!! If you are asking ‘WHAT IS A LIGHTOVER?’ … see image below!! Basically a ‘lightover’ is more like a home makeover, but it focuses more on how LIGHTING can transform your home! For entry details, please click on below link & DO SUBMIT YOUR ENTRY AS SOON AS POSSIBLE BECAUSE THE ENTRY WILL END AFTER 3rd JUNE 2012!! It’s time to give your home a LIGHTOVER! How good is your home lighting? Are you still treating your home lighting as something that can only help you to see? If yes, you really need to see what light can do!! From this poster you can already see how simple changes in lighting can really transform your home!! That is the exact message of what Philips Lighting Malaysia wants to convey to everybody & that is also what a ‘Lightover’ is. 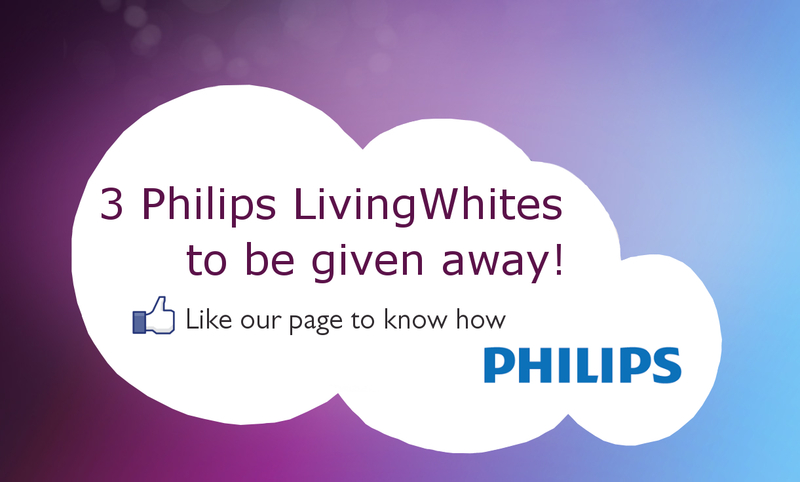 So people, visit the page now & enter the contest to give your home a new look!! !